The software comes with some predefined lists: Vendors, Accounts, Purchase Orders, etc. If those are not enough more can be easily added. Click File -> Import -> Custom List. A Wizard window will open. On step 1 enter the name of your new list. On step 2 enter the ID of the field which you would like to bind to the list. 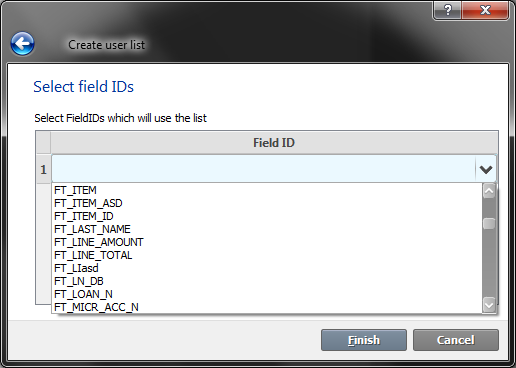 The ID of the field is defined in the Form Designer. You can also click on the drop down menu and select a field ID. Make sure it matches the one in your form. You can also type the field ID in if you are sure about its ID name. Click Finish. 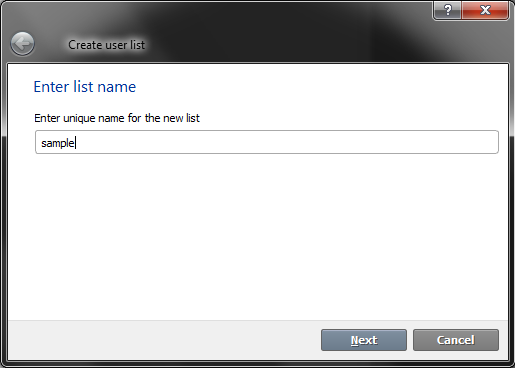 Next, the software will ask you to select a file that contains your list. 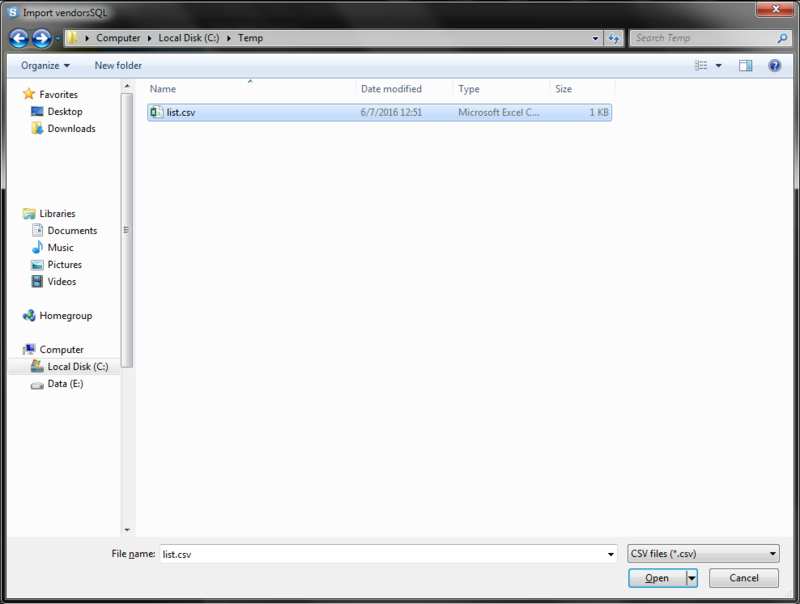 Navigate to the place where the file which contains the list is and select it. Next, another window will appear from which you can select the column which contains the list values. You can import only a single column per list. If you need to create and connect a list that has more than one column you can check the Synchronous list section. NOTE: In case you don’t have access to the file that contains the list or it’s not ready yet you don’t have to select it immediately, you can just press Cancel when asked to select it and the list will stay empty. If you want to select a file for it later go to File->Import-> and select your new list's name. 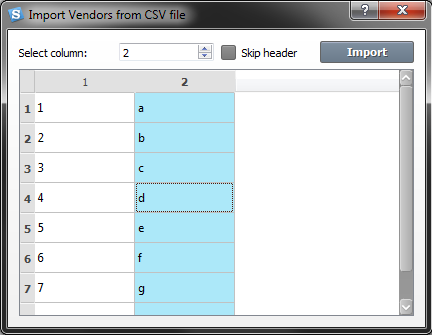 Then select the CSV file containing the list values.